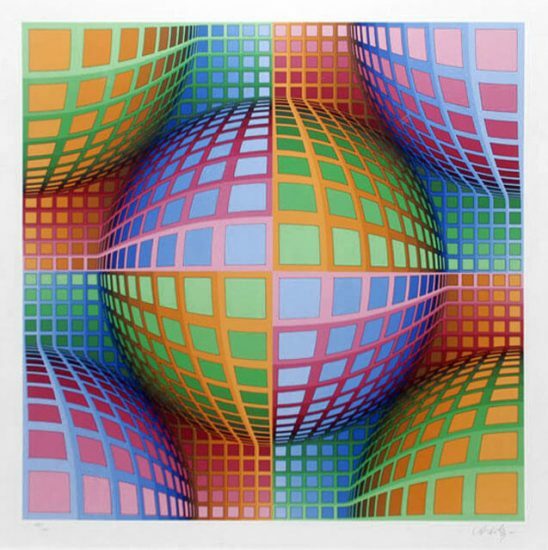 Victor Vasarely, leader of the Op Art movement of 1960's, used disorientating effects to create often impossible images to the human eye, such as these Vasarely prints and sculptures. 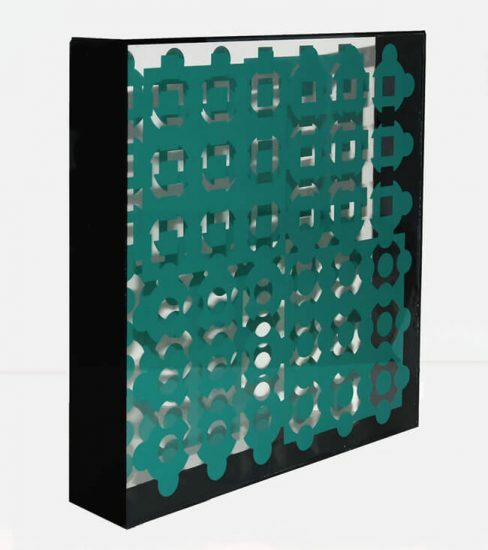 Sell Victor Vasarely artwork with us. 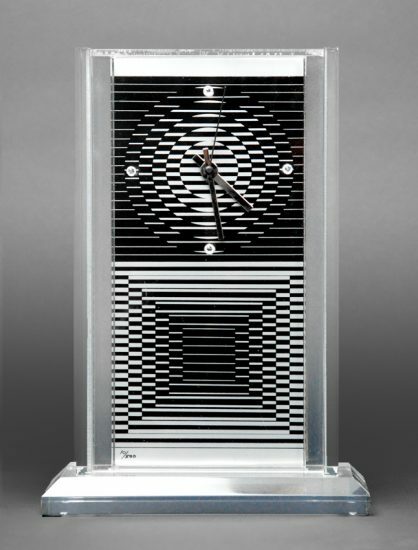 We will research its value and popularity for you. 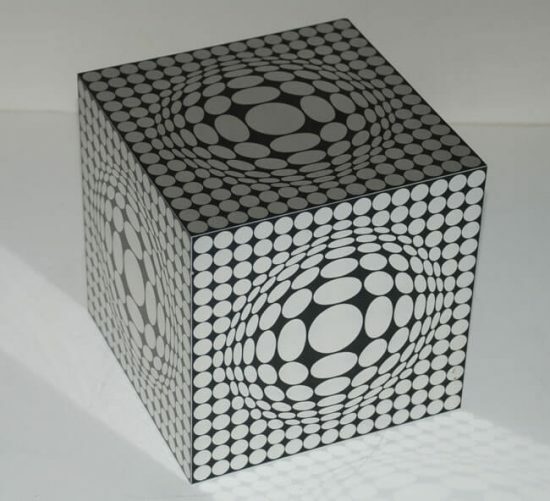 Browse Victor Vasarely Catalogue Raisonnés Online. 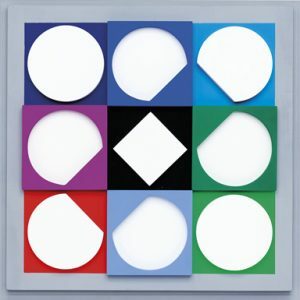 A personal recollection (by Alex Adelman): I was very fortunate to have met Victor Vasarely several times and will always remember him as a very warm, funny, charming, intelligent man. However, what struck me most about him was that he had a child-like innocence and wonderment toward both people and the world around him. The last time I saw him, a year or so ago, I remember fondly watching him play Yvaral several games of chess. Needless to say, he beat Yvaral each time! We shared a glass of wine, chocolates and then he entertained us with Hungarian folk songs. 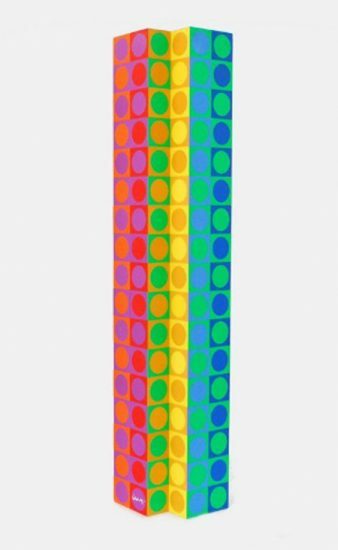 It was a truly fun and memorable occasion! 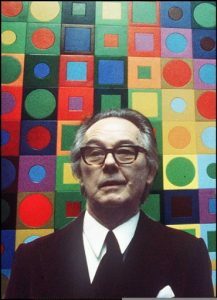 Considered the father of the Op Art, Victor Vasarely was born on April 9th, 1908 in Pécs, Hungary. 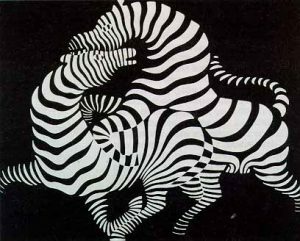 Internationally recognized as one of the most important artists of the 20th century, his innovations in color and optical illusion have had a strong influence on many modern artists. 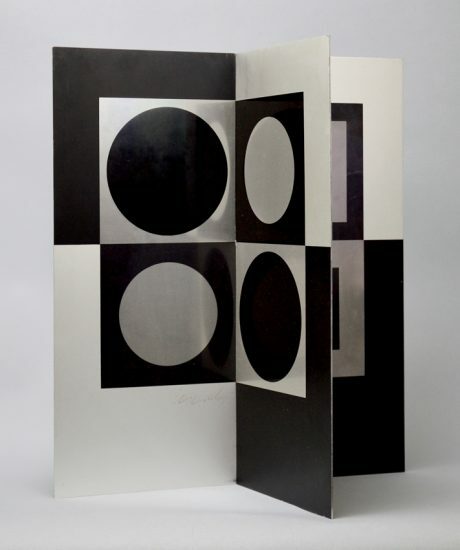 Spanning most of his career, our collection of his prints and sculptures explores his forays into some of his most famous works such as the plastic alphabet and other iconic periods. 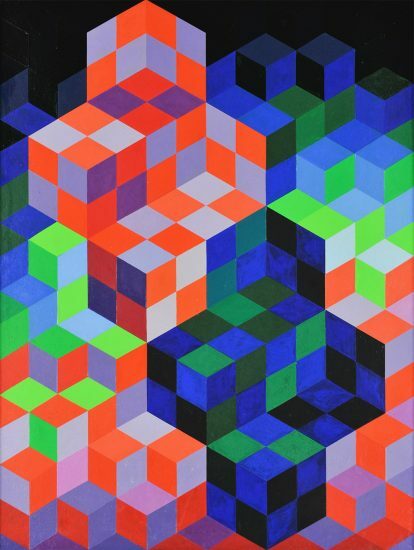 In 1925, Vasarely was accepted into the University of Budapest’s School of Medicine where he attended for 2 years. 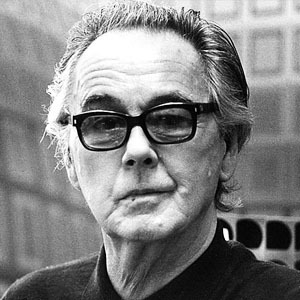 Deciding that he wanted to take his life in a different direction, he enrolled in the Poldini-Volkman Academy of Painting in 1927. 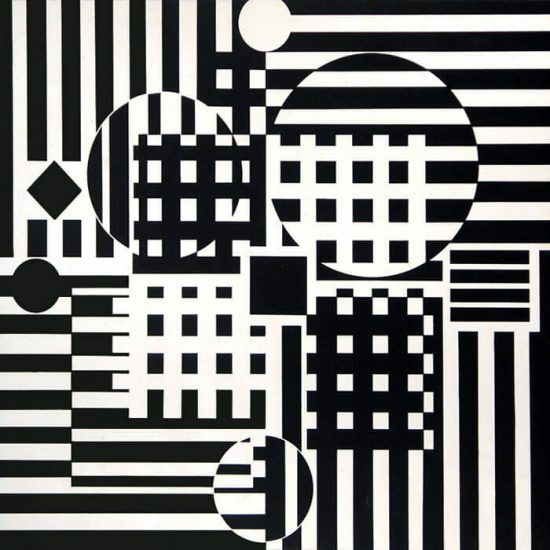 Though a medical education might have seemed superfluous compared to his new career in art, the time that Vasarely spent in medical school gave him a strong basis in scientific method and objectivity. 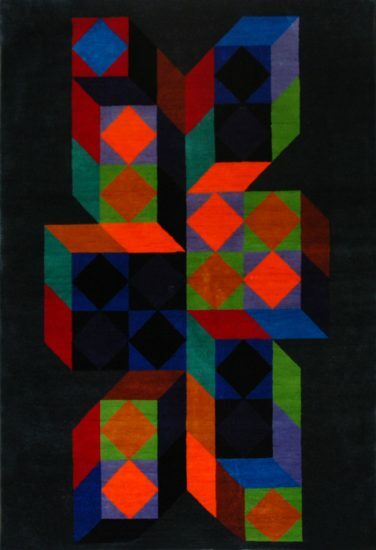 This basis continued to manifest in his unique style of art. 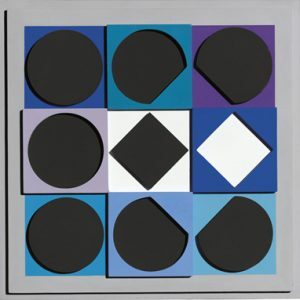 Around 1947, Vasarely discovered his place in abstract art. 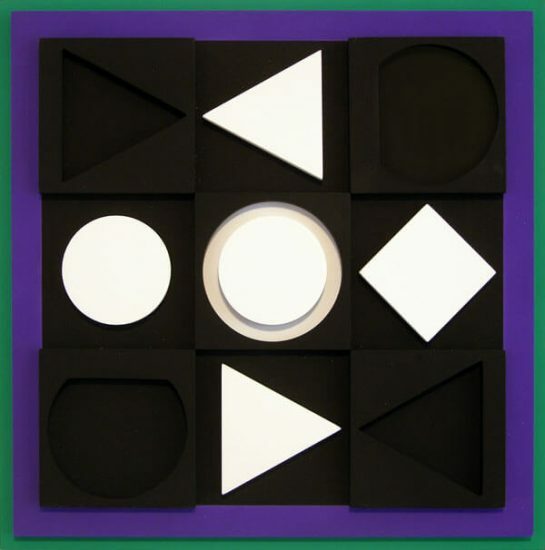 Influenced by his experiences at Breton Beach of Belle Isle, he concluded that “internal geometry” could be seen below the surface of the entire world. 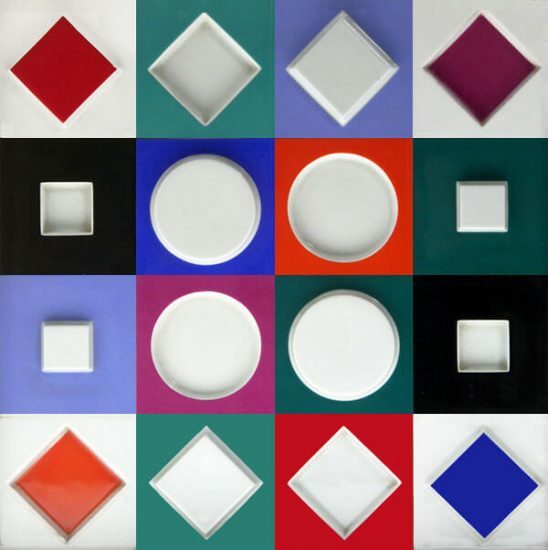 He conceived that form and color were inseparable. 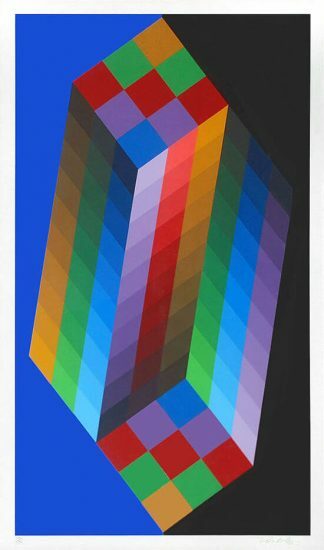 “Every form is a base for color, every color is the attribute of a form.” Forms from nature were thus transposed into purely abstract elements in his paintings. 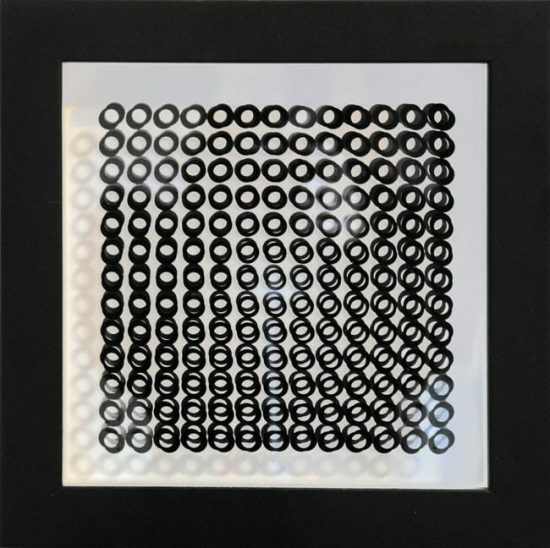 Already an established and recognized avant-garde artist, Galerie Denise Rene hosted a major group exhibition in connection with Vasarely’s painting experiments with movement. 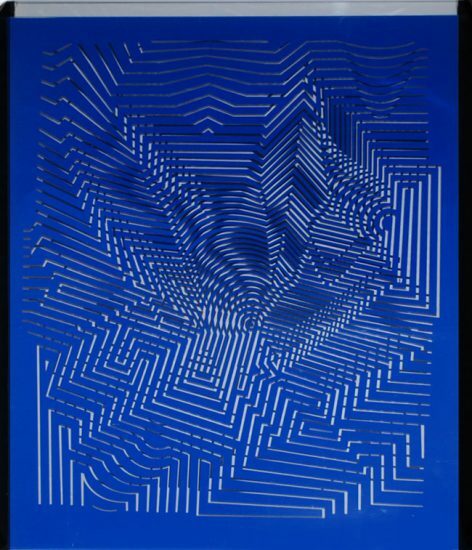 This was the first important exhibition of kinetic art and included works by Yaacov Agam, Pol Bury, Soto, and Jean Tinguely, among others. 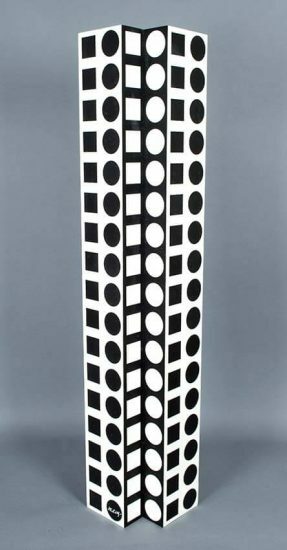 Vasarely ventured into sculptures later in his career. 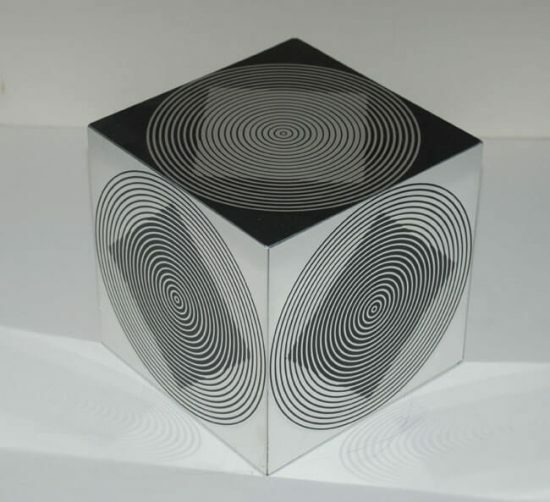 Sculpture presented an exciting possibility of creating an even more dynamic optical experience. 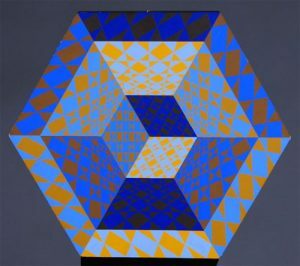 Given the illusionistic quality of his painted works, it is no surprise Vasarely ventured onto this new medium. 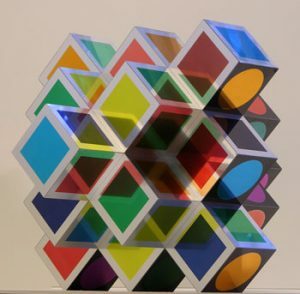 For his sculptures, Vasarely used lucite and glass to enhance the multiplicity in his images. 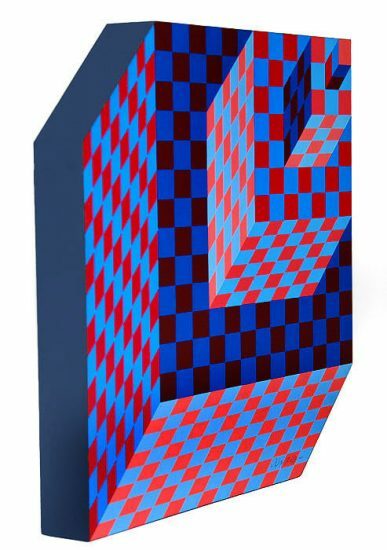 Additionally, he oftentimes created stacked figures that incorporated his geometric designs and merged them onto a shaped canvas, combining his painting and sculpture. 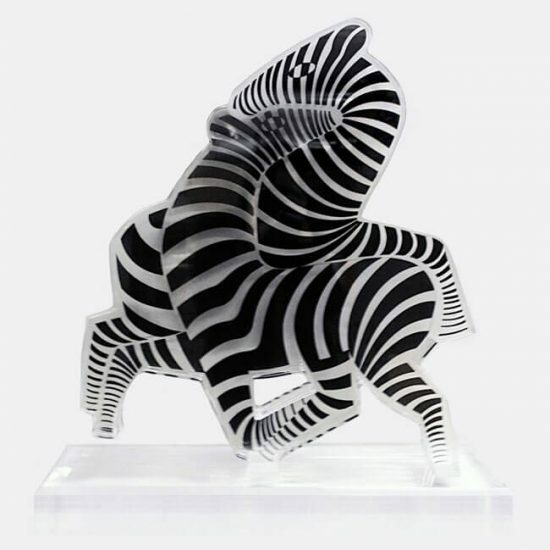 The sculptures vary in size and are very popular with collectors. 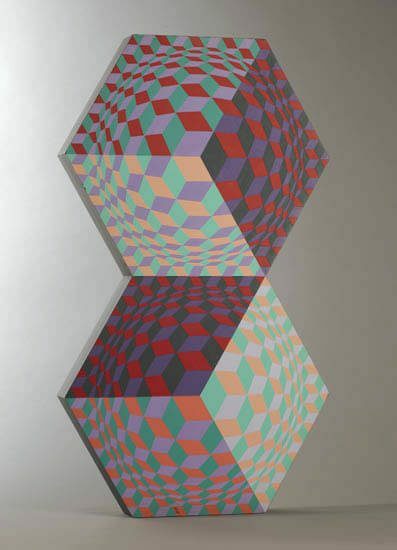 Today, Victor Vasarely’s prints, paintings, collages and sculptures are celebrated in numerous exhibits all around the world.